Clothes: A beetle green longboat with two caplets. A black zipped up jacket underneath with a turtleneck collar. Dress pants and metal heeled cowboy boots (black). Hairstyle: Long to the waist and deep brown. Duel wielded revolvers, 45 cal. 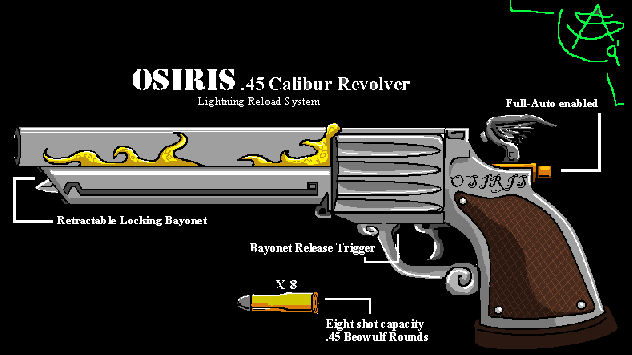 Osiris with Beowulf rounds (18). Bio: Armand was born at the end of the golden age of the Victorian era. A nobleman’s son, he was brought up properly and from his home in Spain, made a pilgrimage to Vatican City, from which he never returned. 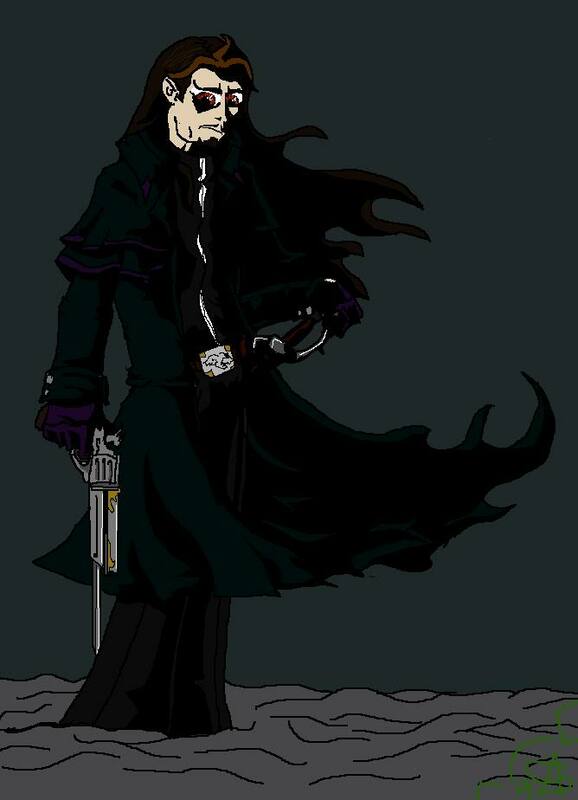 Joining the secret society of the holy order, the newly formed ‘Iscariot’ group of holy assassins, he worked his way through the ranks and enjoyed a rather peaceful life, only engaging in minor raids, but he saw his fair share of evil creatures. He was turned during a swordfight with an rather drunken man, and upon winning the fight, was embraced into darkness by a rather enigmatic Vampire who thought Armand worthy of the gift. The only thing Armand remembered, was what the vampire spoke that night. “You have a gentle soul….You are a Gentleman. A few hundred years out to fix that quiet nicely.” He never saw her face. He ws kept by Isacriot for five years before they sent him to England. Upon arrival, he went to his families London mansion and met with them, confesing what had happened. There, they made a pact. They bled Armand on the kitchen table and stuffed his lifeless corpse into the family crypt. He ran away from Iscariot as a fugitive, he knew they where going to kill him. After 4oo years he has awoken and by sheer coincidence, found Hellsing. He believes there are still records of his existence at the Vatican.